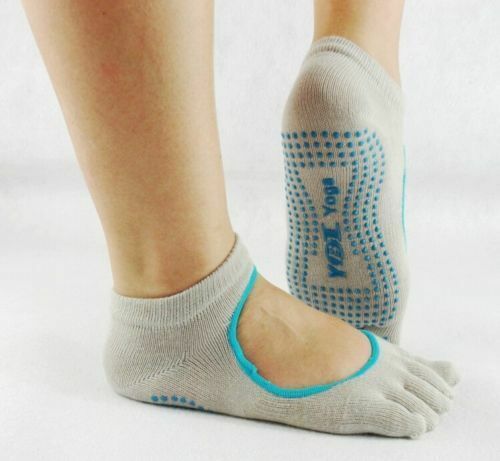 Stick to your practice with the Ankle Length Full-Toe Yoga Grip Socks. 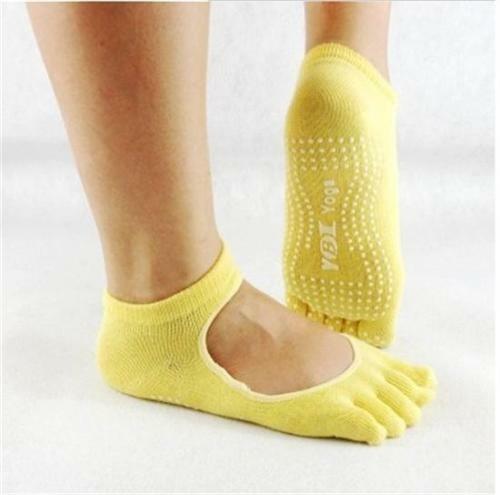 From yoga to dance, these socks give you a hygienic alternative to bare feet. Maybe you just want to walk around in them inside or out. Feel the earth without being completely bare feet. Feels great. 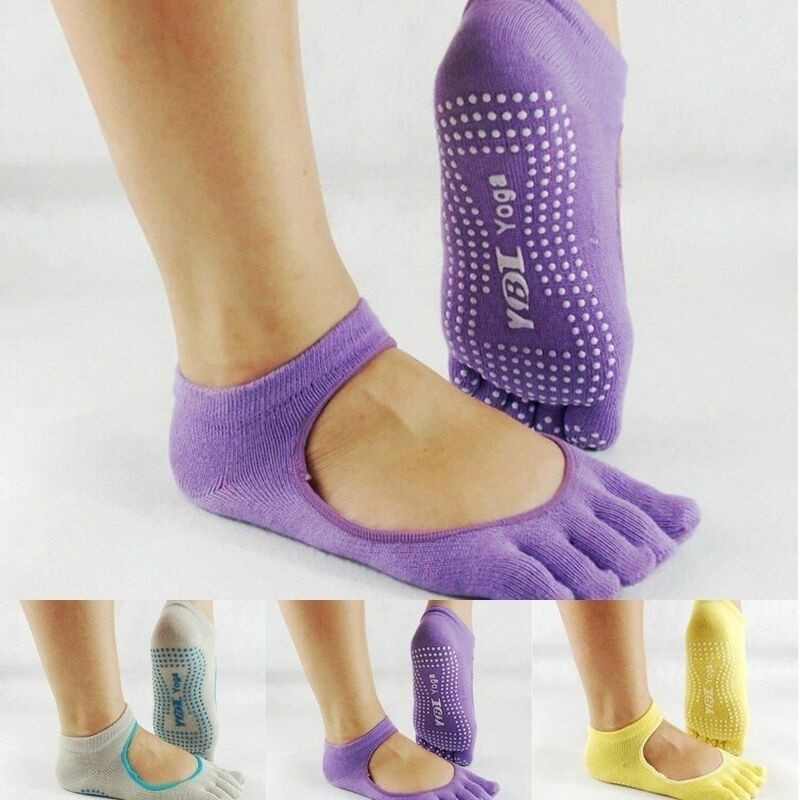 Patented non-slip grip keeps your feet in place. 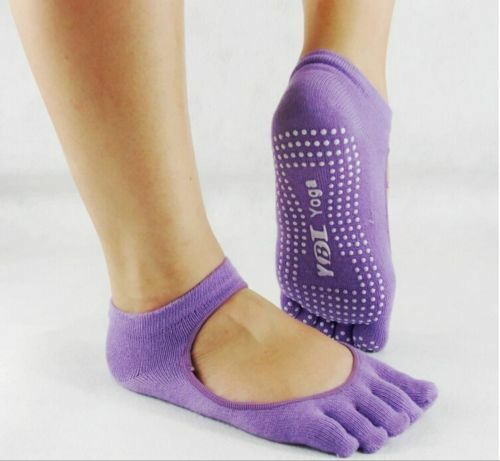 Five toe design allows toes to move and spread naturally. Arch support band gently lifts and supports.